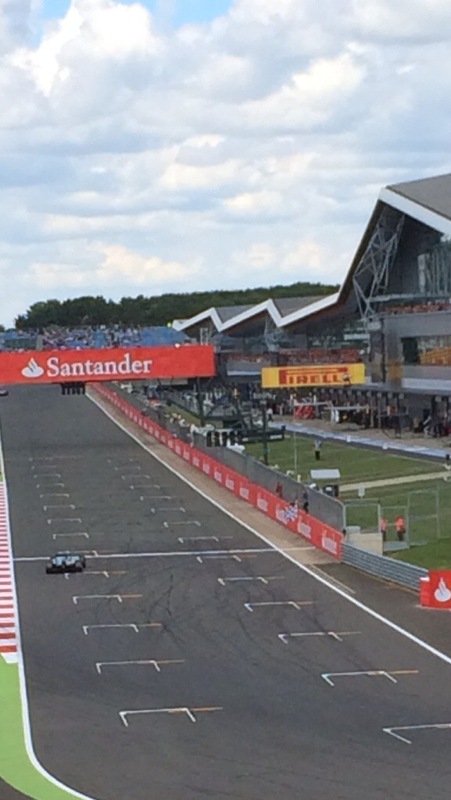 Going into The British Grand Prix there were many arguing that Formula One had lost its edge. Declining television audiences and a much reduced turn out in Austria seemed to point to fans increased disenchantment. The British Grand Prix served to dispel some of those fears. 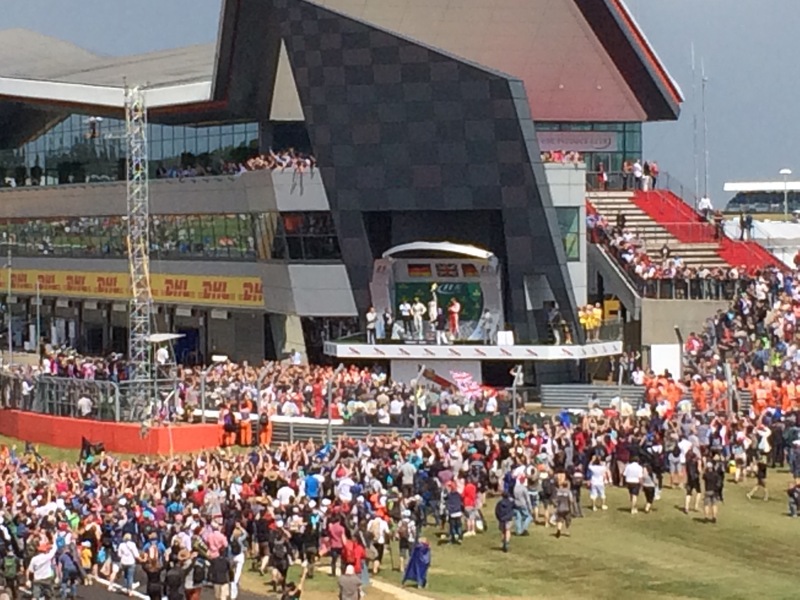 A record 340,000 spectators attended the weekend with 160,000 ensuring a full house on race day itself. A particularly startling fact was that there were more people at Silverstone for Friday practice than there were spectators for the Austrian Grand Prix itself. The race itself turned out to be a thriller and produced the result Lewis Hamilton’s is adoring fans had hoped for. It had everything: strategy, surprises, overtaking, thrills and spills. On such that it was hard to argue that Formula One needed any revisions. 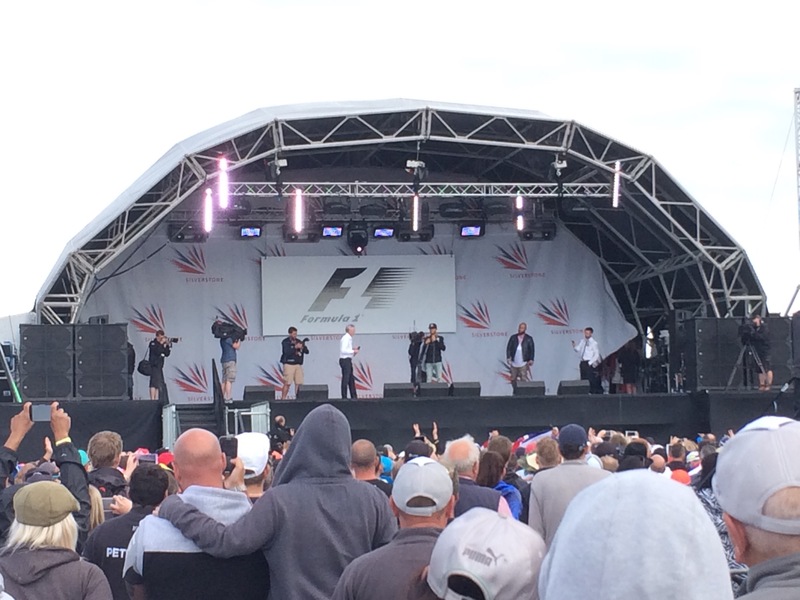 Silverstone put on a fantastic show. Yes tickets were expensive but the full house showed that they had perhaps got the pricing right. The view from the general admission areas can be good if you can find yourself a decent place early enough. 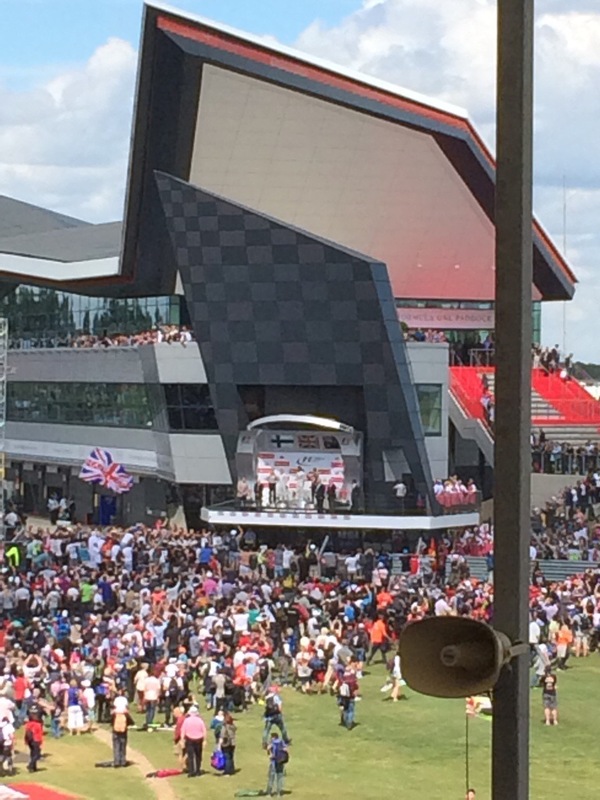 I always get a weekend ticket and on race day sit in the Club Corner grandstand which provides a great view of the last two corners and the finish line – not to mention the podium at the end of the Wing building. For qualification I like to sit in the general admission areas at Becketts to really see the cars move about at high-speed. 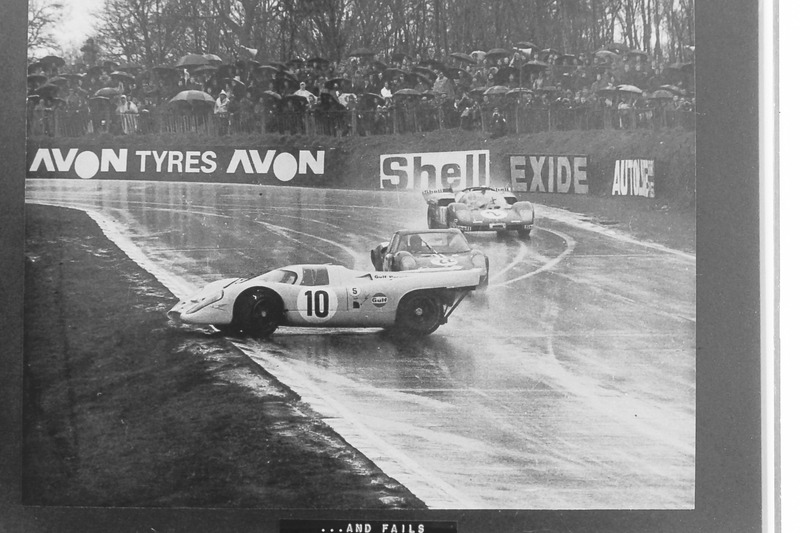 The bad old days of Silverstone, the muddy carparks, the chaos and the huge traffic queues, seem to be a thing of the past. And (say it softly) Bernie must take a lot of the credit for the transformation. If he had not threatened to remove the race from the calendar I suspect little would have been done to improve the fans race going experience. Lewis hoists the famous gold RAC trophy up in the air. No rubbish plastic trophy this year! The race weekend also had more than just the F1 race. The support races were exciting, we were treated to the sight of Stirling Moss demonstrating his 1955 British GP winning Mercedes, and the air displays by the Red Arrows and a thunderous Eurofighter Typhoon were thrilling. I stayed at the circuit for the after show party and was glad I did. Not only did I get to see part of the Spice Girls perform (guilty pleasure) but the Q&A sessions between Crofty and the drivers were eye opening. Away from their PR people it was amazing how open the drivers were able to be. 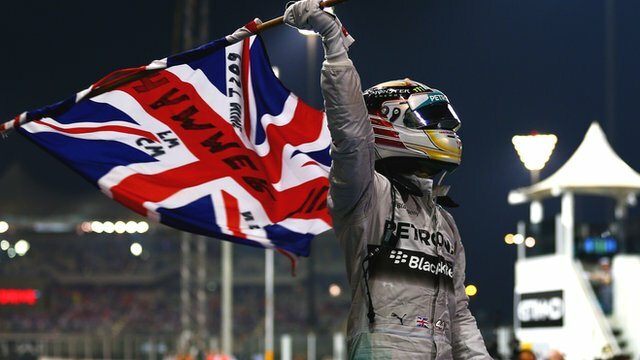 Lewis’s delight in winning his home Grand Prix for a third time was evident. But it was Nico who stood out. Honest and down to earth, good humoured and gracious, he came across very differently from the demonic Nico portrayed by the press. He certainly won the fans over. So all in all a fantastic Grand Prix. I have already booked my tickets for next year! Congratulations to Lewis Hamilton on his second World Championship following his convincing win at Abu Dhabi earlier today. Whilst its a shame Rosberg dropped out of contention with mechanical difficulties, it was a relief that the Championship went to the driver with the most wins and that it was not decided by the ridiculous double points system in place for the Abu Dhabi Grand Prix. Other innovations were more successful. The new hybrid engines are absolutely fascinating and have proved more reliable than anyone would have predicted. I personally do not mind the different noise – I think it sounds like the future. Despite Mercedes Benz’s crushing dominance it was still a thrilling season. The resurrection of Williams was great to see for all British fans as was the humbling of Vettel at the hands of his Australian team mate. 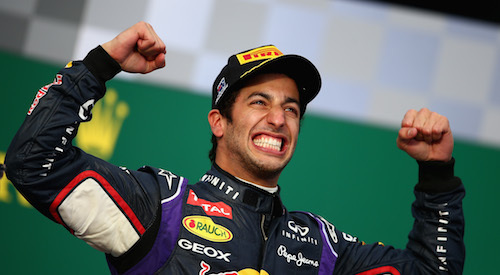 Ricciardo has had a fantastic season, his third in the drivers championship being well deserved. His lack of pretention and easy going nature have already endeared him to the fans. We can expect great things of him next season. In addition, thanks to the aerodynamic skills of Adrian Newey, Red Bull managed to stay in touch with the Mercedes powered teams, notwithstanding their Renault engines. A remarkable achievement for the team. How will they cope with less of his time next year? Ricciardo had a great season- a future World Champion? Massa has also had a good season. He must be delighted Ferrari let him go. Ferrari’s season has been terrible – an embarrassment to the team who reap the most financial reward from the current system of team financing. The departure of Montezemolo after so many years is the end of an era. Rumours abound that Ross Brawn may go back to Ferrari. Might that and Vettel’s arrival be enough to help them out of the hole they are currently in? McLaren, the second oldest team on the grid, have also had a season to forget. Ron Dennis has a new Honda engine next season – will it be good enough? Engine aside they have not been competitive with the other Mercedes customer teams, Williams and Force India, both of whom have outperformed the Woking outfit. 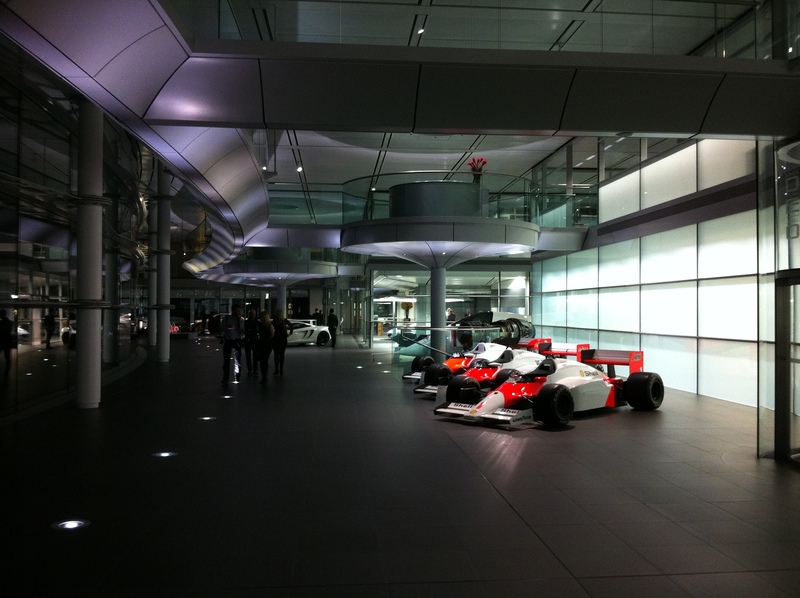 Bar a miraculous Honda engine, Alonso is likely to face a tough test on his return to the team. The administration of the Caterham and Marussia teams was a sad symptom of the increasing cost of F1. The new hybrid engines and the inequity of the current Concorde Agreement between F1’s commercial rights owner and some of the teams led directly to the reduced grid seen in the last few races of the season. Things do not look good for Sauber, Force India of Lotus either. Lotus’ season has been particularly terrible and it seems nothing much can save them apart from a return of Flavio Briatore or some other deep pocket. 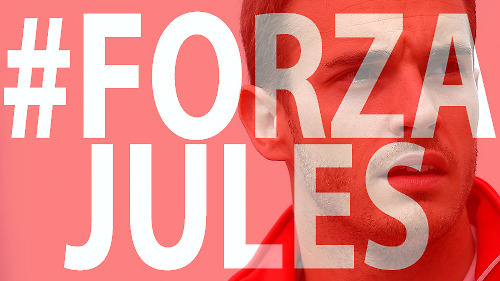 After many years of no serious injuries in F1 we were rocked by Jules Bianchi’s terrible accident at Suzuka. Hopefully he and Michael Schumacher, injured in a freak skiing accident earlier in the year, will make a full recovery. In the week leading up to the London to Brighton veteran car run, the organisers, the Royal Automobile Club, hold a number of motoring events in London including a motoring forum at the RAC club house in Pall Mall. 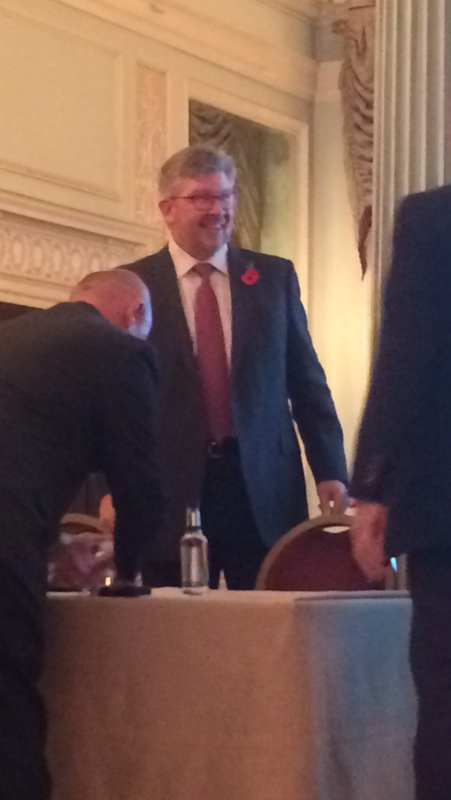 This year the guest of honour was former Ferrari and Benetton team manager Ross Brawn. As well as having won manufacturer F1 World Championships with both those teams Brawn has the unusual distinction of having won the same title with his eponymous team in their first year of operation. Until recently he also managed the Mercedes Benz team following their purchase of a majority interest in Team Brawn in 2009. After struggling for a couple of years the Mercedes team has now won this years Formula One manufacturers title. Brawn expressed his pride in having contributed to the team’s success. He said winning the title was harder than he thought it would be as Mercedes-Benz were initially unwilling to invest in the team. Brawn pointed out that Red Bull spent over £200 million each year to win each of their recent titles . Brawn said that unfortunately Formula One was like that nowadays . Investing a lot of money was not a guarantee of success but not investing enough money was a guarantee of failure . The cost of running a successful Formula One campaign was very high and could not be met, even for the large teams, by the income they received from the commercial rights holder. Sponsorship could close the gap to some degree but, due to the recent recession, this was not as plentiful as before. As such the manufacturers have an advantage today because they are able to support their race teams from other resources and also supply engines to other teams which generate an income. The complex hybrid engines being used this year are over twice as expensive as last year’s engines and as such Brawn believed the cost of such new technology has undoubtedly had a negative impact on the smaller teams. When asked what was the greatest challenge of his time at Mercedes-Benz Brawn said it was getting them to think as a team. The engine guys had initially been sceptical of a Mercedes-Benz team as they already had a good working relationship with a successful team – McLaren. Getting the engine guys and the chassis guys to think together on a “one-car “basis was the key to the current success of the team. When asked about his impressions of Michael Schumacher Brawn said that he first came across Schumacher when Brawn was working for the Jaguar sports car team at the end of the 80’s. At the time Schumacher was racing for the Mercedes sports car team and Brawn and Tom Walkinshaw were very impressed with Schumacher as he was the only driver at the time who threatened the dominance of the Jaguar sports cars. When Walkinshaw and Brawn were recruited to Benetton with Briatore it was Tom Walkinshaw who approached Schumacher and poached him from Jordan, not Briatore who often claimed the credit for what turned out to be a vital hire. Schumacher quickly established himself as a very impressive driver who worked very hard and was always available for testing, unlike some of his colleagues. brawn said he was a great team player who took a real interest in all members of the team. He knew the names of all the mechanics and never criticised the team. When asked which current drivers he rated Brawn tactfully mentioned Hamilton and Rosberg but also expressed admiration for Alonso. Alonso was one of those drivers able to get the best out of any car in any circumstance. Brawn contrasted this with Vettel’s performance this year where he’s been consistently outshone by his teammate. Asked what he thought about double points being awarded to the winner of the Abu Dhabi Grand Prix he said he thought it was a “stupid idea”. Brawn was firmly of the view that the most consistent driver of the year should win the championship – it should not be decided on such gimmicks at the last race of the season. Currently “retired” Brawn was due to take part in the London to Brighton Veteran Car Run in his recently acquired 1904 Wilson Pilcher. The British Grand Prix was another thrilling race in what has turned out to be a classic season. 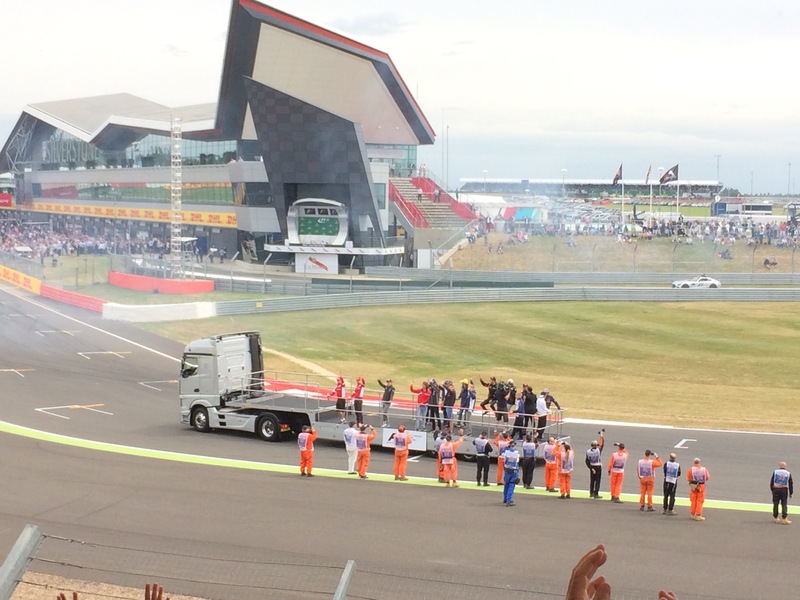 Although it might lack the glamour of Monaco or the first rate facilities of Abu Dhabi and the other new circuits, Silverstone more than makes up for such deficiencies with the passion of the 120,000 fans who make the pilgrimage to Northamptonshire every year. All the British drivers, including Max Chilton labouring at the back of the pack, received loud applause every time they went past the packed grandstands. And foreign drivers received sporting applause when their conduct merited it. In the end the fans got what they wanted, a British victory. Although the mechanical failure which robbed Rosberg finish handed the race to Hamilton, I think the fans would have preferred to have seen him take the lead following an overtaking manoeuvre. Instead, for thrilling overtaking and racing the fans had to look to Alonso and Vettel who battled it out wheel to wheel for many laps. 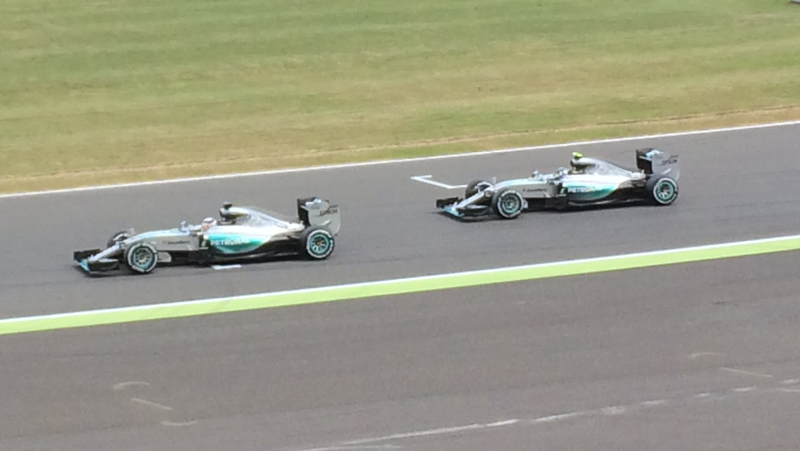 Bottas also drove magnificently, finishing second having started 16th. Ultimately though it is Hamilton who will be happiest with today’s result as it now leaves him just four points behind Rosberg in the race for the championship. Below, Hamilton crosses the line and takes the chequered flag for only his second British Grand Prix victory. Below, the top three on the podium face the ecstatic British fans. Bottas received his second place trophy from the legendary John Surtees who was celebrating the 50th anniversary of his world championship with Ferrari. Incidentally, as noted below (“Dinner with Emerson Fittipaldi”), the famous British Grand Prix Gold cup was at Silverstone to be presented to the winner. However all Lewis got was a horrible plasticky trophy based on sponsor Santander’s logo. He had the good taste to show his disgust and ask “Where is the gold cup? ” Where indeed? A relaxed Lewis Hamilton arrived at the pits before all the other drivers. A sign of things to come? 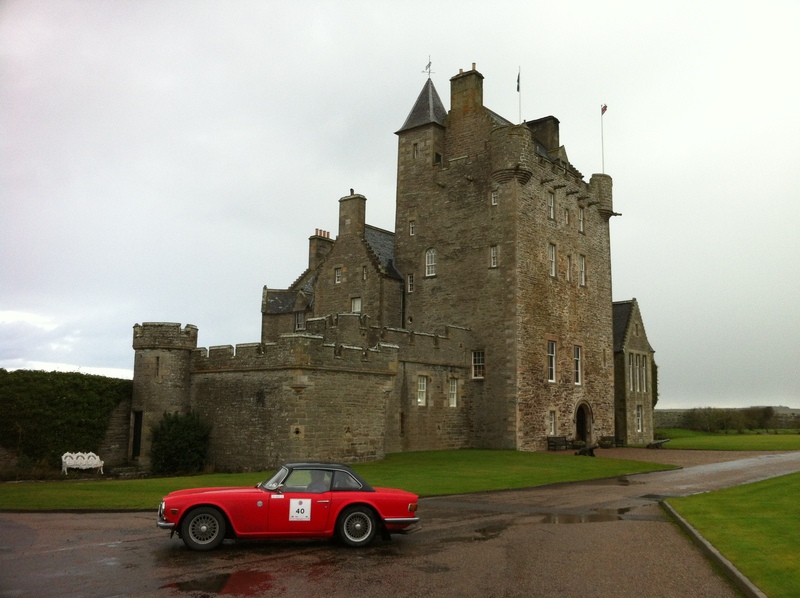 Undoubtedly the long drive up from Lands End to John O’Groats as part of this year’s LE JoG. Even though I navigated, rather than drove, most of it.. Whizzing around Goodwood in the McLaren MP4 after a tour of the MTC comes a close second. You take the high road.. I have seen many fine cars this year, at The Festival of Speed, Goodwood Revival, various events with McLaren, at Brooklands, Crystal Palace and on the London to Brighton run. 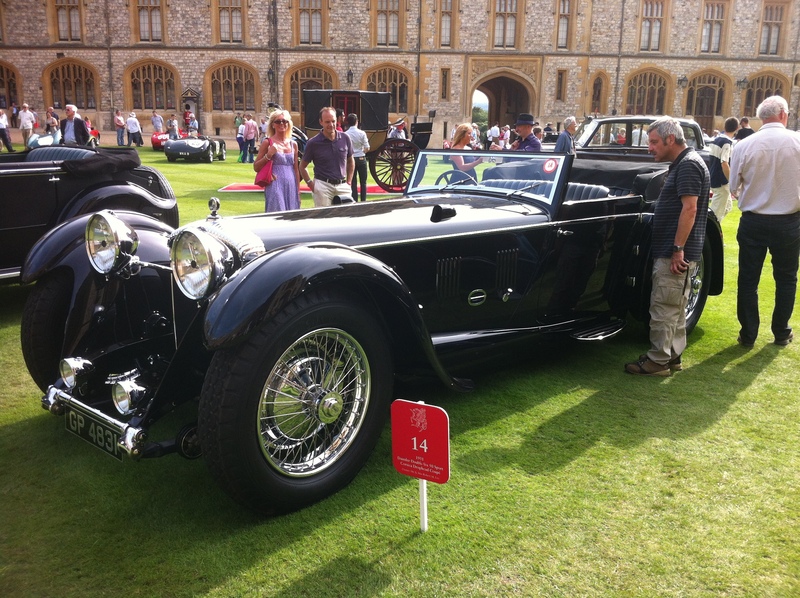 The fabulous collection of Auto Unions at the Goodwood Revival was particularly memorable but the most stunning car I saw was the Daimler Double Six at the Windsor Castle Concourse of Elegance. just look at the lines and that long long bonnet! 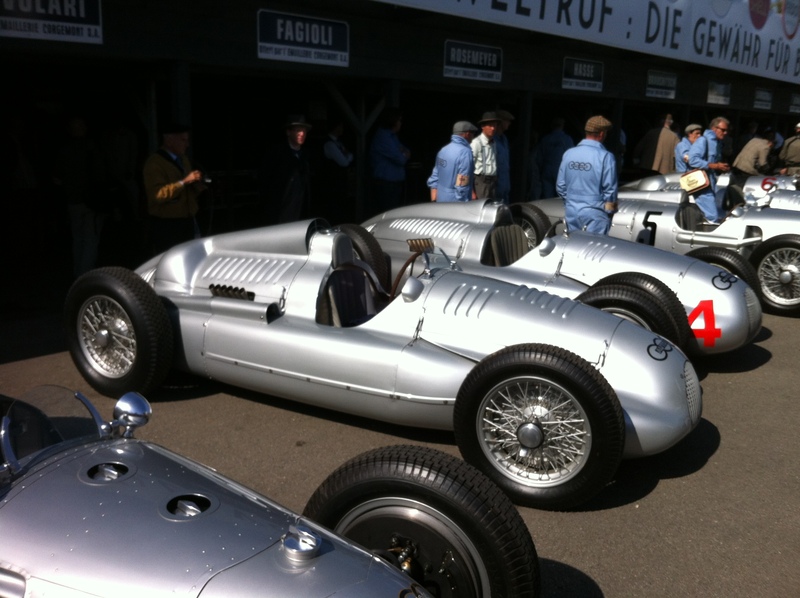 The Goodwood Revival is always amazing and one of the motoring high points of my year. For racing thrills and passionate crowds the newly competitive British GP at Silverstone is a must for all UK petrol heads. The London to Brighton run is always fascinating and the Classic Motor Show at the NEC was a great season closer. 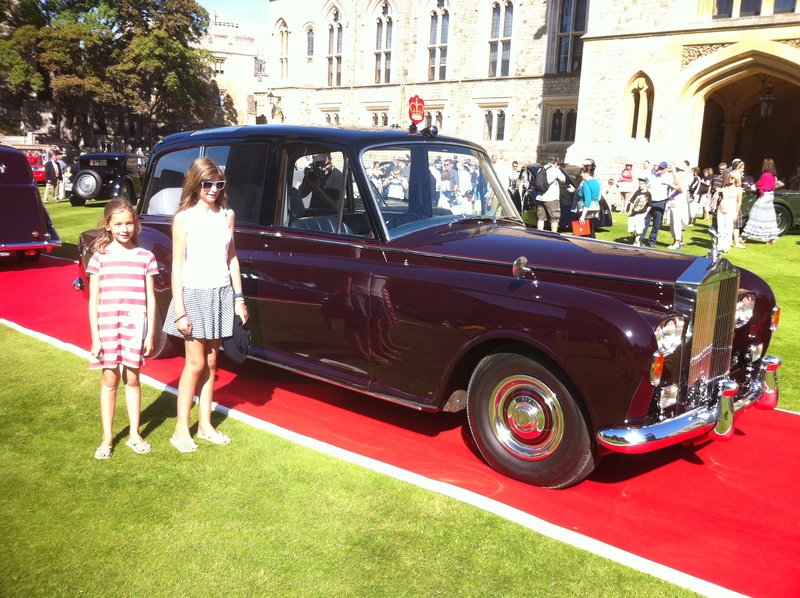 But my top event for 2012 was the Windsor Castle Concourse of Elegance. I am not usually one for car polishers but the collection of cars brought together at the Queen’s weekend home was stunning. Even my wife and kids found it interesting, which is saying something! Her Maj’s Roller even interested the kids.. 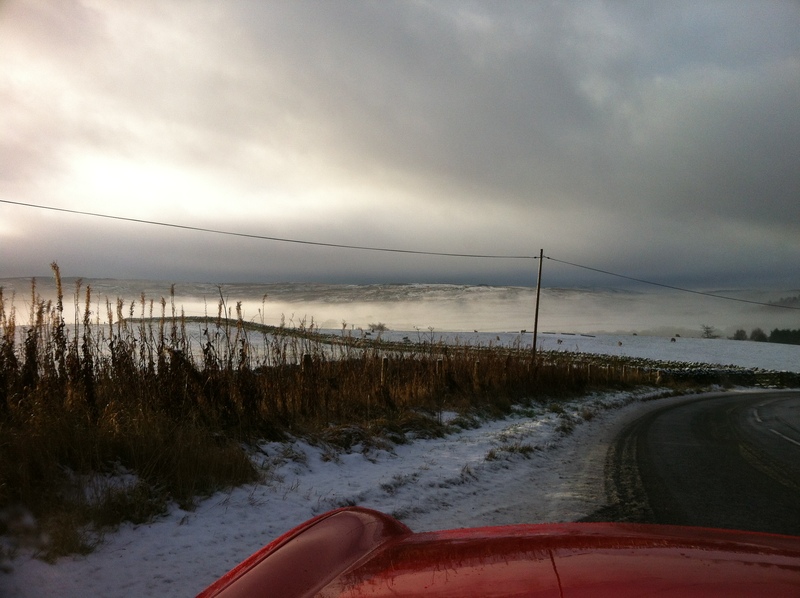 LE JoG – no question. Of our current crop of F1 drivers Vettel, now the youngest triple F1 Champion, stands out. If he had been less temperamental when faced with adversity then maybe he would have crept to the top of my list. As it was I think Alonso gave him a great run for his money in a clearly inferior car. Hamilton also showed some of the genius that seemed lacking from his driving in 2011. And that strange petulant streak that marred many of his performances last year was largely absent. Just look at his reaction when Hulkenberg’s rash lunge robbed him of victory at Inerlagos. 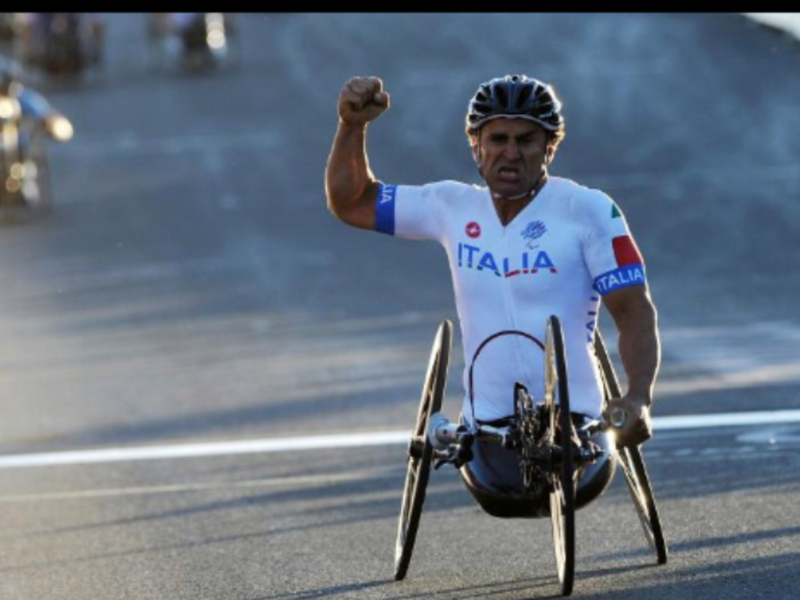 But my hero of 2012 is former F1 driver and Double Champ Car Champion, Alex Zanardi. 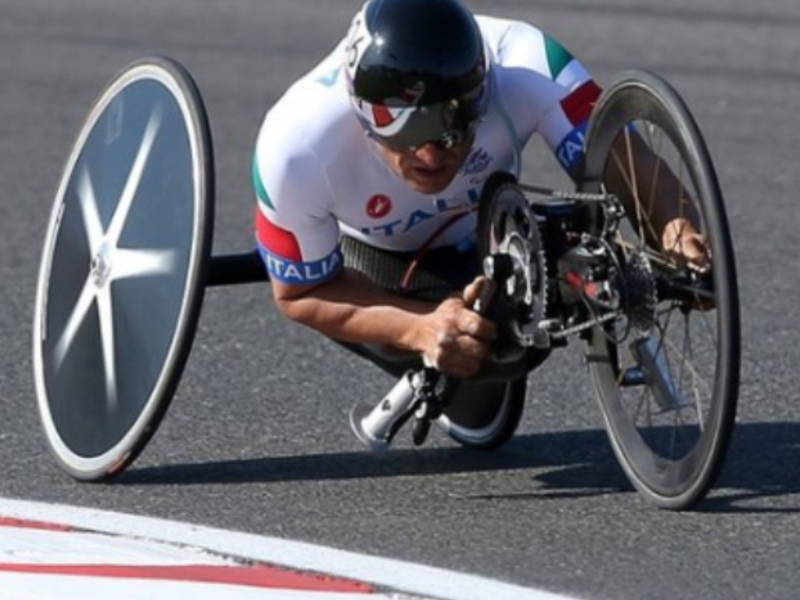 Not only did he magnificently overcome the horrific loss of his legs in a racing accident in 2001 to go on to a successful Touring Car career, he now has a fistful of Paralympic medals to add to his trophy cabinet. Winning two golds and a team silver at the age of 45 in a sport he only took up two years ago, is particularly impressive. And the venue for his most emotional success (Gold in the Hand Cycling Road Race)? Brands Hatch of course – where his highest previous finish was a second in a F3000 race in 1991. What a remarkable and inspirational man! What an inspired and exciting hire Sergio Perez is for McLaren. Sergio has been in fine form this season gaining three podium finishes for Sauber already. I remember seeing him at Silverstone last year and I was impressed with how fast he seemed in what was palpably not the fastest car on the grid. This year he has looked even sharper. Certainly he is a fine young talent. Whilst I had tipped Di Resta for the vacant McLaren seat I must say I am more excited by Perez getting the drive. Di Resta is a fine driver but not particularly exciting. Perez has moments of brilliance and sheer pace. The thought of him in a front running car is mouth-watering. Clearly he will now be under enormous pressure to thrive. Podium finishes are like winning for Sauber. Anything less than winning for McLaren is going to be a disappointment. Having said that, I think that on the whole he will be able to handle the pressure in a way many other young F1 drivers would not. His first test will be at Suzuka in a few hours. He has qualified a good 5th on the grid – way ahead of the hot shoe whose shoes he is filling. Hamilton qualified a poor 9th – I guess his shoes won’t be too hot for Sergio to step into.. There have of course been other Mexican F1 drivers. The most notable were the Rodriguez brothers, in particular Pedro. Pedro raced for Lotus, Cooper, BRM and Ferrari in the late 60’s and early 70’s before his tragic death (at only 31) in July 1971 in a Ferrari 512M sportscar at the Norisring, Germany. Despite winning only two Grand Prix Pedro was known as a quick driver, particularly in the wet, but he was unfortunate in only being able to drive non-competitive F1 cars. It was a different story with sportscars. 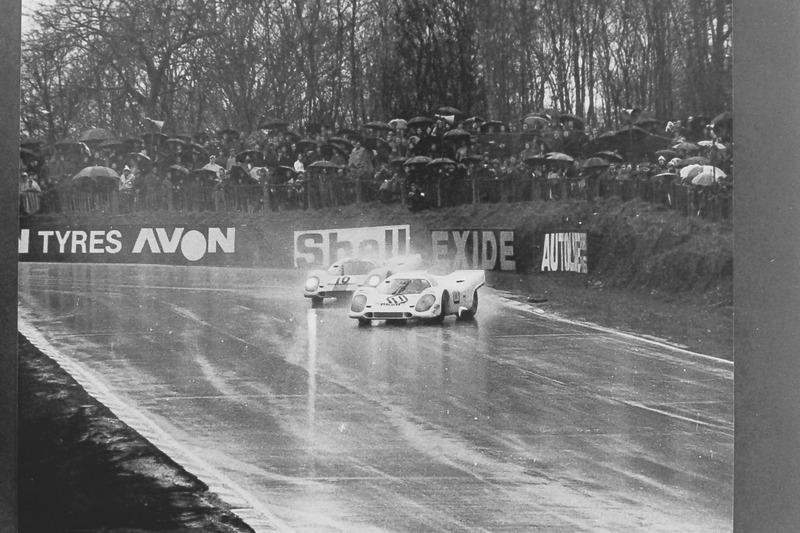 He won Le Mans in 1968 in a Ford GT40 and was twice world champion in the beautiful but terrifying Porsche 917. Mexico loves its motorsport and hosts rounds of Indycar and NASCAR. The race tack in Mexico City is named the Autodromo Hermanos Rodriguez after the two brothers who are revered in their home country. Hopefully the success of Sergio Perez in F1 will lead to a whole new generation of Mexican F1 fans and maybe pave the way for F1 to return to Mexico.